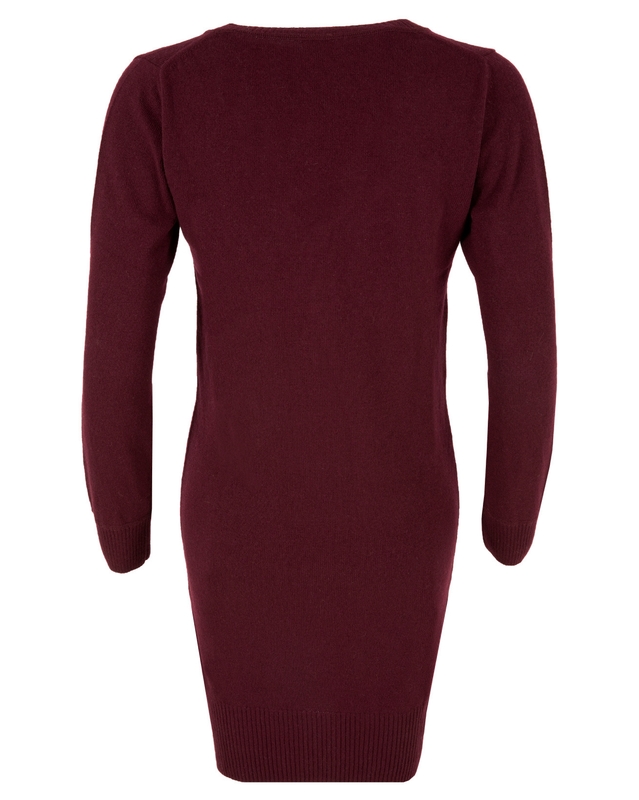 Beautifully soft and a dream to wear, this jumper dress is knitted in pure Geelong lambswool. It has a soft V-neck, mother-of-pearl button placket and a wide, ribbed hem and cuffs. Wear bare legged on warmer days and pair with tights or leggings when the weather cools. Such a gorgeous dress... soft and warm, easy to wear and flattering. I have one in charcoal and daughter has the wine colour. Please can we have more colours as we would both like a second dress but we don't want to have the same colour! Lovely dress, medium thickness, warm. I’m between 8-10 and small is a good size for me. Would be better if the waist is more fitted but overall the dress looks smart enough.